'Elliots on Arama' is a warm, bright, sunny, comfortable and clean stand alone family home with all the necessary facilities for a relaxing stay. 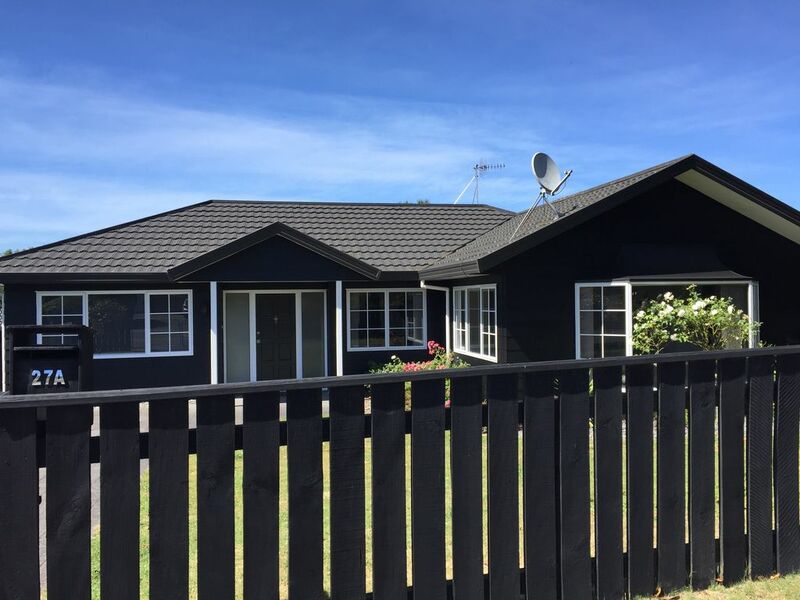 It is situated a short walk from Central Taupo shops and is an easy drive to Acacia Bay and many of Taupos beautiful beaches. It's in a nice quiet street with ample outdoor space for Adults and Children to enjoy the long summer days. Minimum 3 night stay over Stat Holidays and event weekends. No smoking or pets in the house. Respect for close neighbours is appreciated. A $250 security bond will be required prior to the guests stay and will will be immediately refunded upon checkout given there are no damages. Fully fenced gated property with off street parking and ample space for kids to run around. This is a three bedroom home with 2 bathrooms in a quiet suburban street but just a few minutes drive from the town centre. Off street parking is good. We really enjoyed our stay here and excellent for a family as just like a home. Pricing was also good. The property location is great and only a 10 minutes walk to the CBD. If you are site seeing then this is a great central location to base yourself for traveling around the region. This house had a ton of room and would be great for larger groups. This house had a ton of room and would be great for larger groups. We had 4 and it was very nice to have the space. It's in a very nice location - quick and easy to get into town. The house itself left something to be desired - the carpet had several stains throughout and the bathroom had some mold/water spots on the walls and ceilings, but it was comfortable enough for the couple of days we were there. Great house with lots of room for the 6 of us. Lovely house in nice location. Lovely house in nice location. Short walk from town centre. Had everything we needed for family stay with Grandparents and 15 month old. Would recommend. We had an awesome stay at Arama Street. We had an awesome stay at Arama Street. The house is spacious and easily held 6 of us. We loved the sunny house and quiet neighbourhood. The location to Taupo is excellent - only a couple of mins drive to the centre. Highly recommended.